If you want a quick, easy, and healthy cannabis dish, then look no further than this tasty delight. The addition of hemp seeds to this recipe adds the medical properties of cannabis to this already nutrient-dense salad. 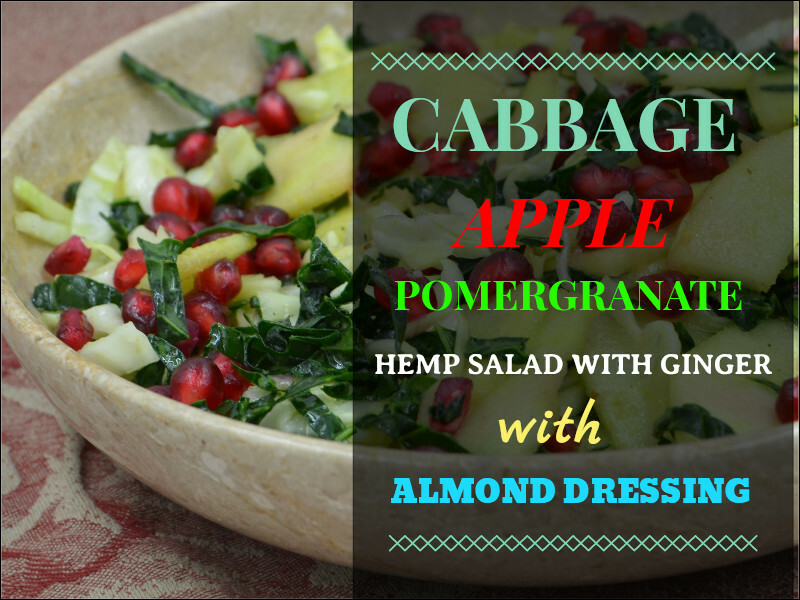 Cabbages, apples and pomegranates are famous worldwide for their disease-busting properties, and hemp seeds make this a must-have recipe for any health-conscious individual. Most of the ingredients for this salad are seasonal. You may or may not be able to get all of them, or maybe not throughout the year. If you cannot find these ingredients, or if you do not enjoy their taste, then you can be as creative as you desire and use what is available to you. Fortunately, this is a recipe easily modified to suit any taste or preference, and the hemp seeds will not make you high. Combine apple, onion, and cabbage in a large bowl. Tossing the apple in lemon juice will help to prevent browning, and it will add a tangy zest to the salad. In a blender, combine all ingredients and blend until smooth. You can whisk by hand if you are only using almond butter, but a blender is easier. Add to serving dish and decorate with a few black pepper grinds and sprinkled pomegranate seeds.